Mr. Leavengood and the bankruptcy attorneys at LeavenLaw are apparently not the only people finding it hard to surrender cars to lienholders through the bankruptcy processes. This problem is present throughout the country. From consumers that have already filed bankruptcy and cannot get rid of their car to individuals that deal with the unlawful hounding and debt collection that comes with stopping payments on a secured auto loan, people are having the same problems; click here to read more. That is why CBS was created and is here to help. Don’t want to leave your vehicle in the front yard for the repo man to repossess? Don’t want to get left at the grocery store with no vehicle to drive home because you are past due? Can’t drop the vehicle off at the dealership or bank branch? Don’t want to be told why you can’t surrender the vehicle…and how this will ruin your credit? Collateral Bankruptcy Services was created to solve these problems, and more. Richard Dauval, also a shareholder at LeavenLaw and a co-founder and General Manager at CBS, says that CBS helps Chapter 7 bankruptcy trustees too. “Chapter 7 Trustees have a duty to make sure that a debtor who has indicated in their bankruptcy petition that they desire to surrender a vehicle that they do in fact surrender the vehicle. “ When asked why it matters, one might be surprised at his answer. “Chapter 7 Trustees expose their estates to liability if a debtor, who is surrendering their automobile, is still in its possession and driving it around potentially with no insurance. If they are and get in an accident, the bankruptcy estate will get sued.” As such, CBS provides services not only to debtors and their attorneys who have already advised them regarding the surrender of their vehicles, but also Chapter 7 Trustees in the state of Florida. CBS will draft the Notice of Abandonment, contact the Debtor and safely and securely pick up the surrendered automobile. Liability eliminated. Finally, CBS offers value to debtors and debtor’s attorneys that utilize CBS’s services. 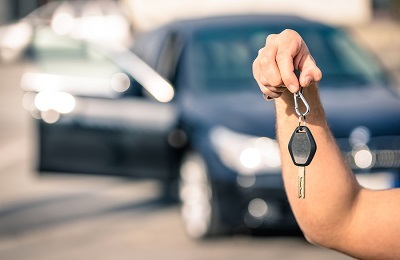 To every Debtor that successfully surrenders an automobile to CBS, they will receive FREE Credit Counseling and Debtor Education courses—both requirements for filing a bankruptcy and receiving a discharge. This is up to a $70.00 value. Furthermore, for the time and effort a debtor’s attorney undertakes in gathering the information surrounding a debtor's vehicle and assisting in the surrender, every debtor’s attorney will receive a $100.00 AMEX Gift Card in return for their efforts and referral. NOTE: Chapter 7 Trustees do not receive and are not eligible for the AMEX Gift Card.